We're building and repairing. That means dozens of newly-connected journeys, more rail to more places and freeway fixes are in our future transformation. Learn more . 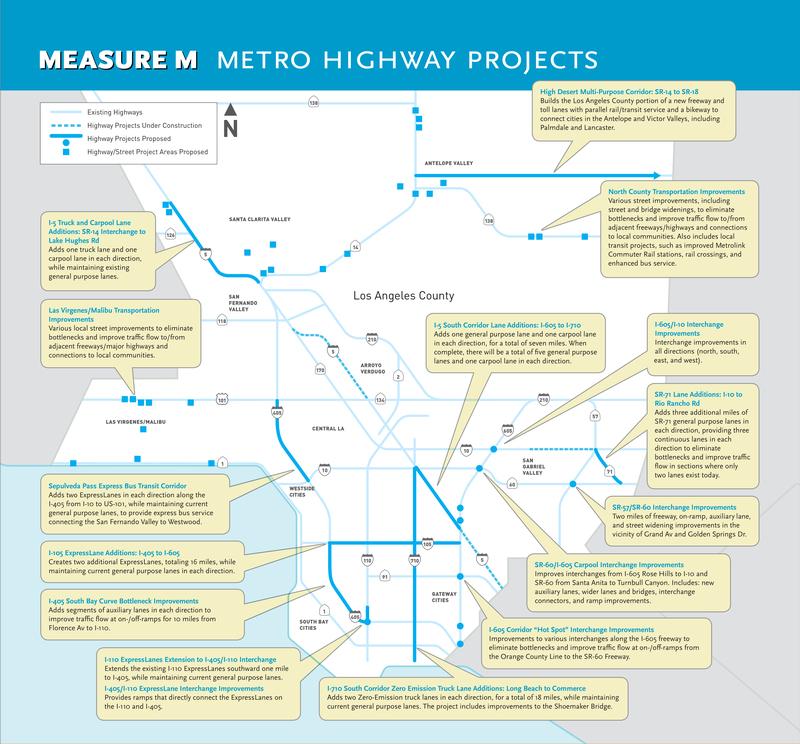 Investing $52 billion in new projects will bring 778,000 new jobs to LA County, and help to fuel a thriving economy. Learn more . With a million rides a day, we take a lot of cars off the road to clear the air. But that's only a start. Every future project we have will leave the greenest footprint possible. Learn more . Forty projects in forty years makes for a long to-do list and lots of activity. 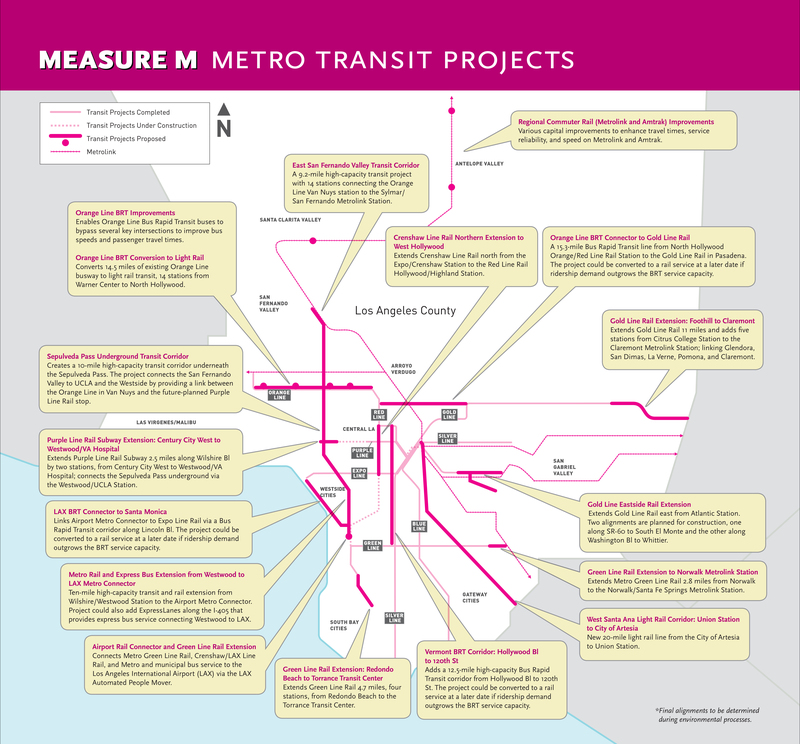 Use this chart – just like our Metro project teams do – to track our progress. Click on a number below to read the project description. View map fullscreen .